There’s really 4 specific answers, but 1 common theme. Sports Sedan handling, comfort, ski and bike hauling, long hood and roof, sleeper cars. We. Just. Don’t. Buy. Them. This site complains about not getting wagons. But the reason we didn’t get those is cause we didn’t appreciate these wonderful machines that were sent over to test the market. At first, for me, when I was less wise the thought of wagons were lumped right in with mini-vans. But they grew on me. Thinking about a low slung power wagon, with room for my buddies and enough power to roll 90% of the cars on the road did start to make a lot of sense. The E39 came with 4.4L throaty, RWD and styling cues from the best looking M5 ever. I saw an M tech package of this car in Cape Cod circa 2008 in all black...and it stopped me dead in my tracks. This is a functionally special, handsome car that has really aged well. Etremely depressing not to have those around or the big brother Lamborghini infused RS6 v10 avant that Europe got. However Audi did leave us something...we’ll come back to that. The later models I referenced came with forced induction engines. literally add about about 1000 US dollars at Cobb (BMW) or Revo (Audi) you could muster up the ultimate jalopnik car. The A6 3.0T is basically an Audi S6 euro spec. And if anyone has seen Chris Harris...we know what this can do. These were great, GREAT, cars...But the sales numbers were horrific. We didn’t buy the MOST underrated cars that germany ever sent over here. And yes....they both came in BROWN. 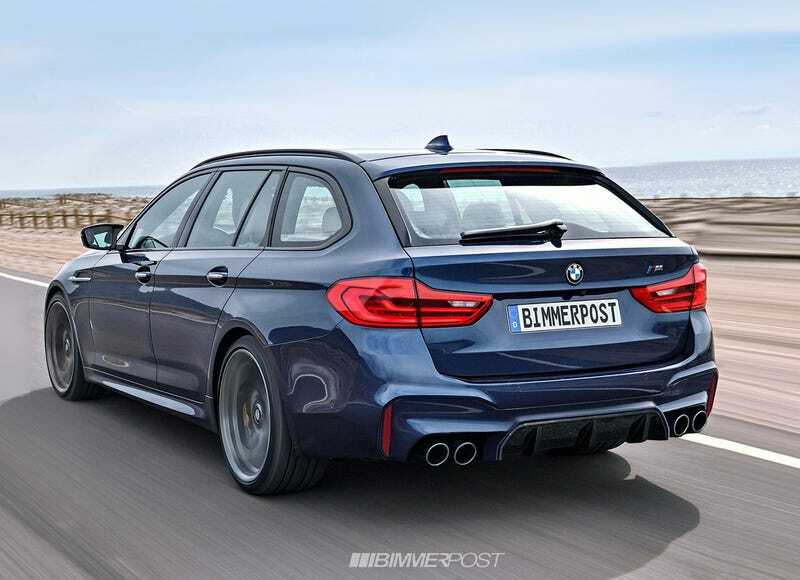 PS yes I know Mercedes is selling the E63 and Jag has the shooting brake now...but let’s be honest we want the m5 touring and the RS4/6 avants!